Prominent & Leading Manufacturer from Faridabad, we offer automobile metallic patterns, aerospace metallic pattern, hand moulding metallic patterns, industrial metallic pattern and metallic pattern. The extensive range of industrial Automobile Metallic Patterns offered by us is known for their precision design and high performance. 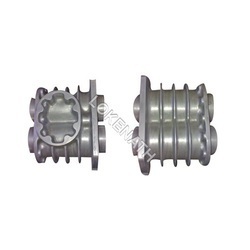 These are widely used in diverse industries such like automobile, aerospace and agricultural owing to the quality end features. We offer these patters in various sizes, designs and dimensions as per the clients need. The extensive range of Aerospace Metallic Patterns offered by us is known for their precision design and high performance. 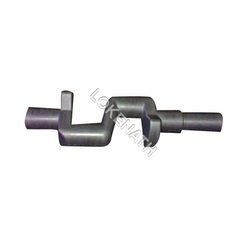 These are widely used in diverse industries such like automobile, aerospace and agricultural owing to the quality end features. We offer these patters in various sizes, designs and dimensions as per the clients need. We offer our clients a wide range of Hand Moulding Metallic Patterns which is manufactured in tandem with the set industry norms. These are widely used to prevent dust particles and metallic chips to enter into the important parts of the machine. Thus, this helps to ensure longer working life of machines parts thereby enhancing its functionality. Industrial Metallic Pattern solutions offered are developed using well defined process that assure of quality metallic patterns as per the specific requirements of the customers. These patterns come in high finish quality and durable construction so as to provide for lasting usage. Some of our advantages include expertise in pattern fabrication as per specific client demands, offering solutions for air, water, gas & oil mediums; solutions offered are also suited for non- corrosive fluids, patterns developed are capable of handling usage in high temperatures and pressure conditions, offering superior corrosion resistance and high tensile strength among others. 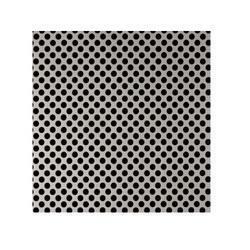 Metallic Pattern solutions offeredcan be made available in exact OEM specifications as provided to us andfind extensive use in different industry sectors like automobile, aerospace and others. These patterns come in different size and design options as well as in shapes like round, rectangular hole, square, hexagonal, triangle, slotted and other patterns. 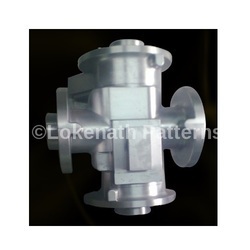 Some of its features include quality metallic patterns that provide for durable usage, choice of design and fabrication as per specific needs of clients, capable of handling high temperatures and pressure; suitable for use in industries like automobile, aerospace and others; choice of different shapes like triangle, diamond, hexagonal, cross and other patterns as per clients’ application requirements. 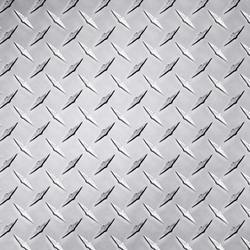 Looking for Industrial Metallic Pattern ?